On Sundays while you are enjoying worship your child will be in our care. You can be assured that we offer professional childcare. Your children will be loved and learning about Jesus. They will have the opportunity to use their curiosity and imagination when learning about our amazing God through age appropriate activities. They will discover that God made them, God loves them, and God wants to be their friend forever. Confirmation is a ministry designed for 6th-9th graders, though is open to all. It is one step in, what we hope, is a life long journey down the path that God lays before each person. Our 9th-12th graders meet every Wednesday night from 6:45 - 8pm for ReFuel (our Youth Group). We also host events, service projects, lead worship, attend mission trips, and much more! Click below to learn more. For current events follow us on Instagram. Please join us on Palm Sunday, April 14, for Shepherd’s annual pancake breakfast. We will be serving from 9:00 a.m. - noon. Your energetic breakfast hosts will be youth, leaders and family members of those going on 2019 summer mission trip to Chicago, IL. The freewill offering for breakfast will help support participant trip costs. Thank you, as always, for your support and please invite your friends and family to join us for worship at 8:30a.m. and 10:00a.m. and a delicious breakfast. 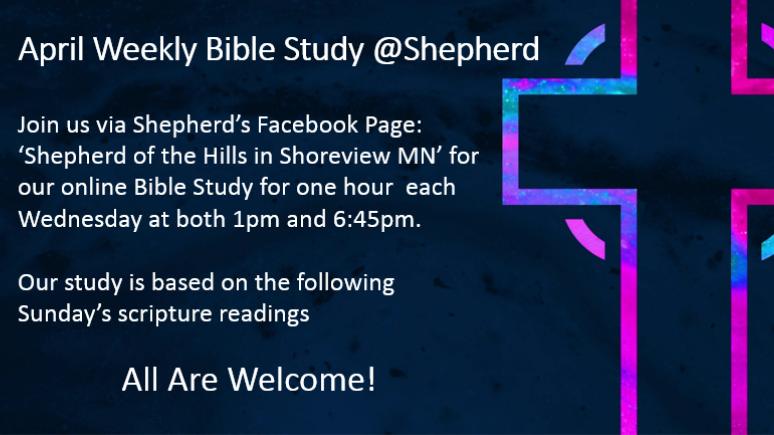 4-21-19_bible_study_and_readings.pdfThis week (Holy Week) we will ONLY be having a 1:00 Bible study. There will be NO Bible study at 6:45pm this week. We discuss the Easter texts that will be used in worship on the upcoming Sunday. We are doing a preaching/study series this Lent called "Everyday Jesus Spirituality"
This week is titled: The Faith Practice of Starting Over"
Click here for the Bible study for Sunday, April 21, 2019. 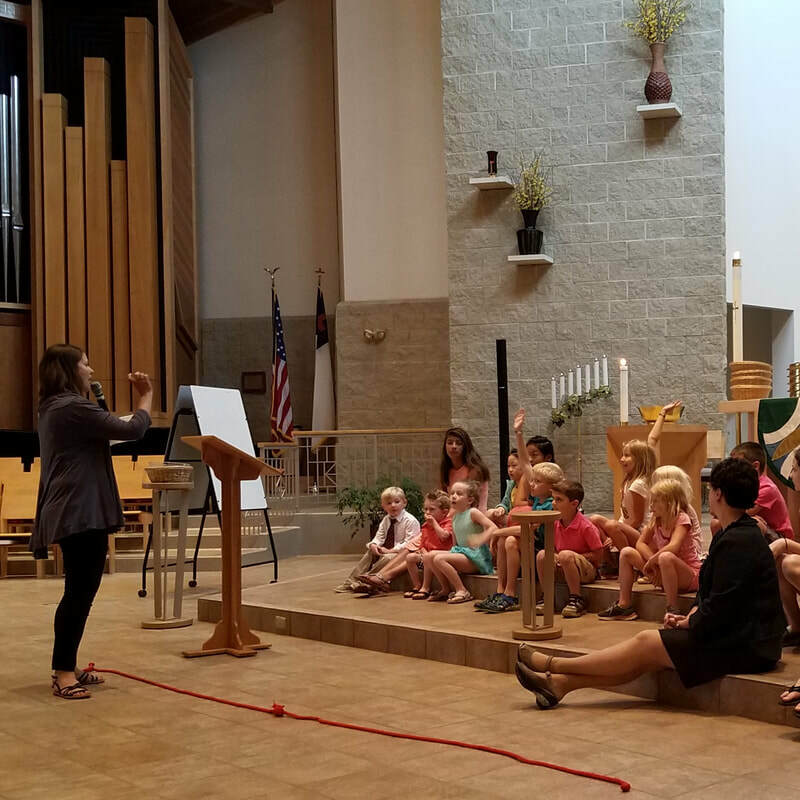 Through the Saint Paul Area Synod and ELCA Global Mission, Shepherd has the opportunity to partner with Bega Kwa Bega ("Shoulder to Shoulder") and the Kidamali congregation in Iringa, Tanzania. We are able to support and pray for their ministry as they in turn do the same for ours, here in Shoreview. Click here for more information. 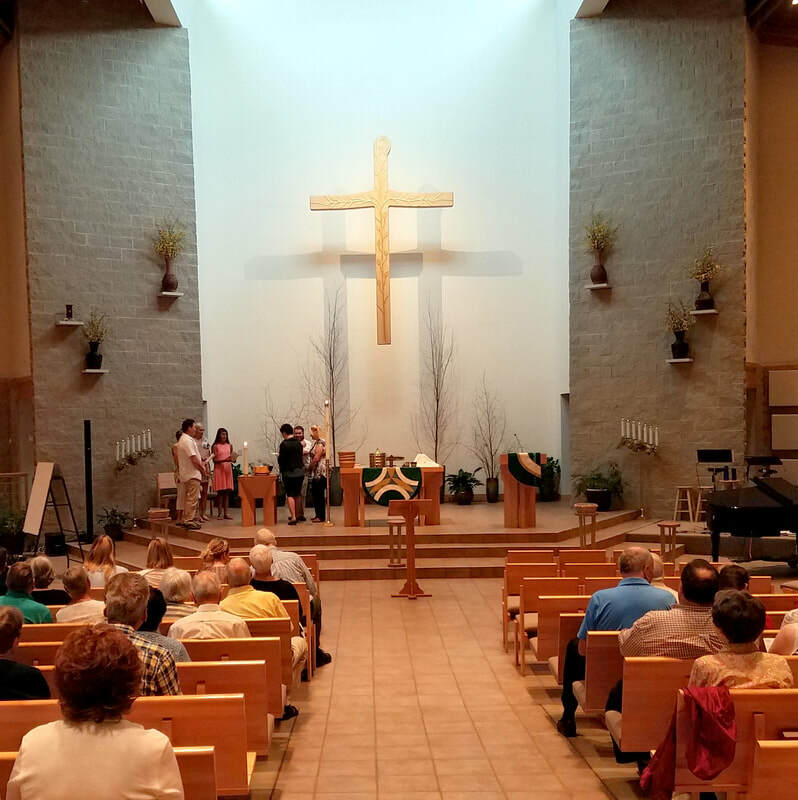 Check out a recent letter update from our sister congregation. The Ralph Reeder Food Shelf is a community program of the Mounds View School District. It serves residents in our school district - our friends and neighbors - who are having difficulty putting food on their table. Shepherd partners with Ralph Reeder through donations and volunteer support. Click here for more information. Open Hands Midway works to provide meals, clothing, household good, and more for those who are economically challenged in the St. Paul Midway area. Shepherd partners through meal serving, volunteer support, and donations. Click here for more information. 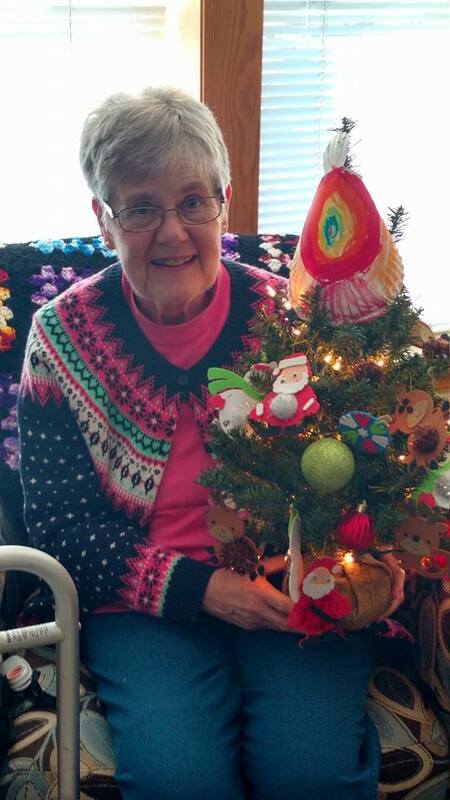 Lutheran Social Services of Minnesota serves 1 in 65 Minnesotans. Shepherd's involvement focuses on in-kind donations for many of their lines of services including: Youth Experiencing Homelessness, Refugee Resettlement, Crisis Nursery, and much more. Click here for more information. Twin Cities Habitat for Humanity & Holy Hammers. Members and friends of Shepherd continue to be involved in building several homes in the St. Paul area. The purpose of Love Your Neighbor ministry is to serve our neighbors (members and non-members) during times of unexpected physical or life changes, to provide friendship, support and assistance with non-medical needs. "Do not be anxious about anything but in everything by prayer and petition with thanksgiving present your requests to God." The Prayer List is published on the devotional sheet found in the Sunday bulletin. It is a list of those members, family and friends who need prayer. Prayer Shawl Ministry. The Luther Library’s goal is to provide quality Christian resources for anyone interested in furthering their faith. The library has over 2000 titles including books, audiotapes, CDs, DVDs and software. At Shepherd of the Hills, we baptize people of all ages. It is common for most of our baptisms to be babies, but if you have a toddler or older children, who have never been baptized, or if you yourself have never been baptized, please know that all are welcome to be baptized in this place. We believe in Christian marriage. Marriage was God's idea in the first place, thus a ceremony where Christ is the center is strongly affirmed in our congregation. We want each couple to have a beautiful wedding and a lifetime of love for each other. Thus, we will do all that we are able to help this become a reality. To make inquiries about arranging for a funeral at Shepherd of the Hills and for information on grief support, please contact the church office and arrange to talk to one of our pastors.